An Orrefors designed Modernist Crystal lantern. 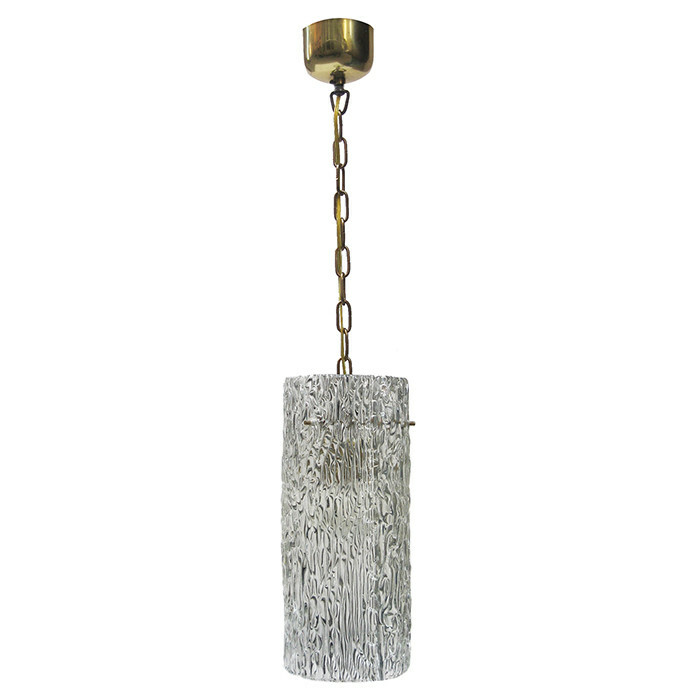 Textured Crystal with patinated brass details. Dimensions: H:14 Diameter: 6 Inches. Height with chain and canopy: 34 Inches.